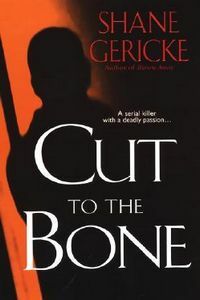 Cut to the Bone by Shane Gericke, a Mysterious Review. Emily and her professional and romantic partner Marty Benedetti are having a spa day when the receptionist is quickly and efficiently murdered, the killer escaping virtually unnoticed. After Emily enters the details of the crime into a national database, including the fact that the victim's nose was inexplicably broken and two barely burned wooden matches were found at the crime scene, she is contacted by other agencies around the country that have had similar crimes in their jurisdictions. They surmise that a serial killer is at work around the country, but don't know how the victims are connected. Meanwhile, Illinois prepares to execute the killer of a pregnant woman and her unborn child in a newly constructed facility built around the electric chair used several decades earlier by the state. Emily concludes the serial killer and the pending execution are somehow related and as a result finds herself a target. Acknowledgment: Breakthrough Promotions provided an ARC of Cut to the Bone for this review.